My lesson plan idea stems from a personal interested in the science of subsistence fishing. 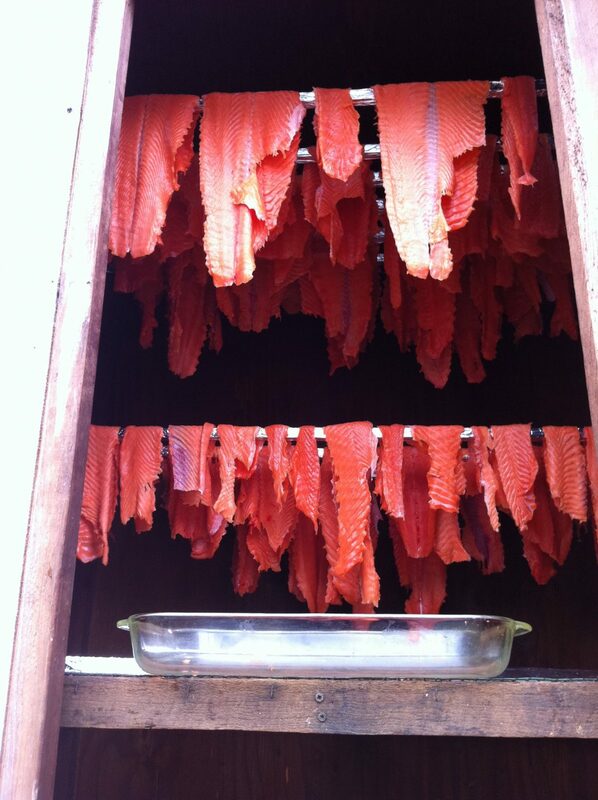 I would love to do a whole unit on all things salmon from learning about salmon life cycles, fish management and stream surveys, fish anatomy and traditional subsistence (the science of smoked fish). I have been attempting to incorporate this into High school summer academy for a few summers now and am thrilled at the opportunity to bounce ideas off this cadre. The problem is choosing just one idea and lesson to start with! Intended audience? Alaska region – grade, course, etc. Southeast Alaska Region, high school or middle school biology/ecology/life science class. About how much class time to do this lesson? One class session (or all summer) with some pre-reading/watching. What source material would students use (include a link or example). TED Ed video & essential questions to establish background knowledge and start conversations in smaller groups. Have groups share their view, compare and contrast. Or… Set up a mock civil dispute trial regarding subsistence fishing. Provide several testimonies which reflect different perspectives and opinions regarding subsistence rights, including those in fish management, fish and game, local indigenous peoples, commercial fishermen, environmentalists, etc. This idea is shaping up well. We will work on the activity side. You could use the trial format to explore all three essential questions. Need to think about what information you will give the students. Could be in the form of witness statements and / or fact sheets that they used to develop their own witness statements.